“Which homes for sale near Golden Oak Community Elementary School, Canyon Country CA would mean my children could attend this excellent and high scoring school?” Please scroll down for school information and Golden Oak Community Elementary School website. Other schools and homes for sale. This is one of the most important of many questions parents ask when beginning their Santa Clarita real estate search for homes for sale near Golden Oak Community Elementary School in Canyon Country CA. It is both disappointing, and a waste of precious time if you find homes for sale near Golden Oak Community Elementary School you love, and believe that your child can attend, only to find out it is not within the schools attendance boundaries. Look without wasting your time. See all homes for sale near Golden Oak Community Elementary School here. 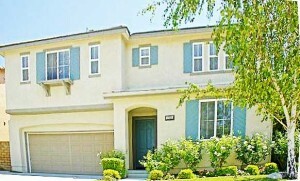 This Santa Clarita real estate page is constantly updated and includes Santa Clarita homes for sale in the community of Canyon Country CA within the city of Santa Clarita CA. Homes to be found for sale near Golden Oak Community Elementary School include condos, town homes, executive homes and single family tract homes many with spectacular views over the Santa Clarita Valley. Students achieving their greatest potential is our collaborative purpose. Golden Oak Community School is committed to providing a wide continuum of opportunities which value individuals, maximize both skills and knowledge, enhance self-esteem, produce responsible and lifelong scholars, and are responsive to the needs of a diverse student, parent, and community population. We commit to a comprehensive system of support to ensure this outcome. • Setting and modeling high expectations for responsible decision-making and respect for self and others is vital to positive expectations. • Teachers, staff, administrators, parents, students, and community members are responsible for providing a safe and caring environment. • Individualized instruction is necessary and should be guided by ongoing, authentic assessment as well as research-based best practices. From little acorns grow the Mighty Golden Oak! To view your selection of Santa Clarita homes for sale near Golden Oak Community Elementary School Canyon Country CA today, contact Pia Soper, your local Santa Clarita real estate agent in Canyon Country CA, and Santa Clarita CA today!